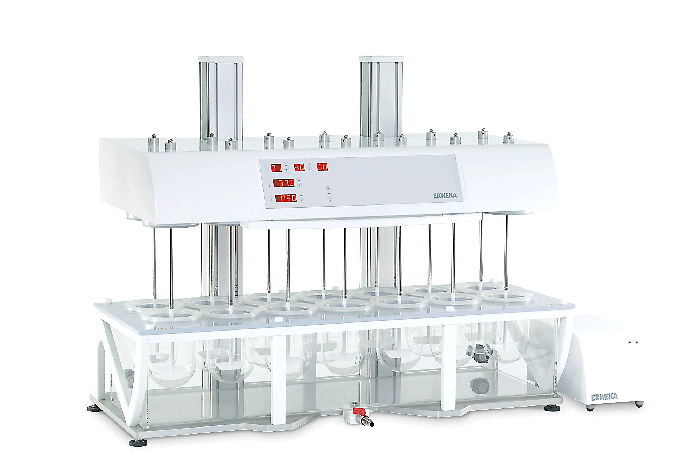 The DT light series consits of basic stand-alone dissolution testers with USP method 2 paddles for manual sampling dissolution testing at an entry-level price. 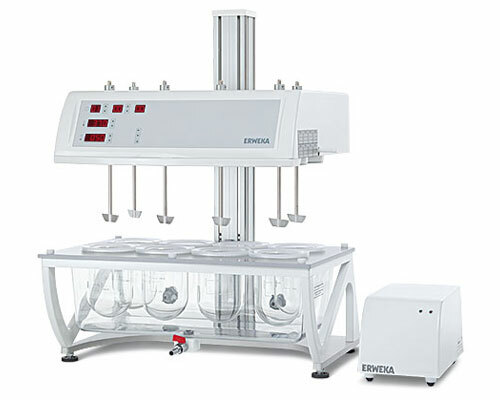 Easy-to-use dissolution tester that can be operated in high-head mode for easy sampling or in low-head mode with very low evaporation due to the closed system. 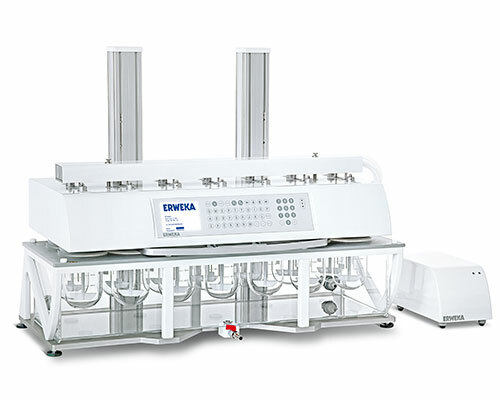 ERWEKA DT 820 series features a LC display for stand-alone operation and the control of a complete offline system. 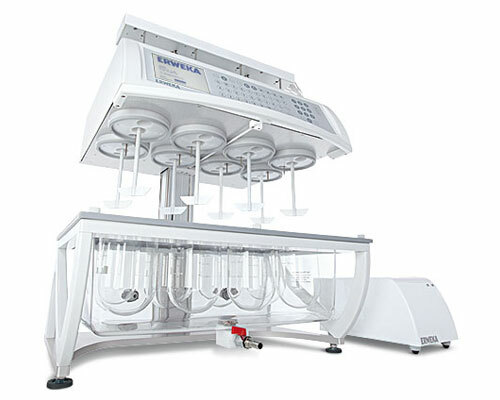 The DT 1410 series is based on the proven DT 720 and offers 12, 13 or 14 test stations arranged in two rows for high volume dissolution testing. 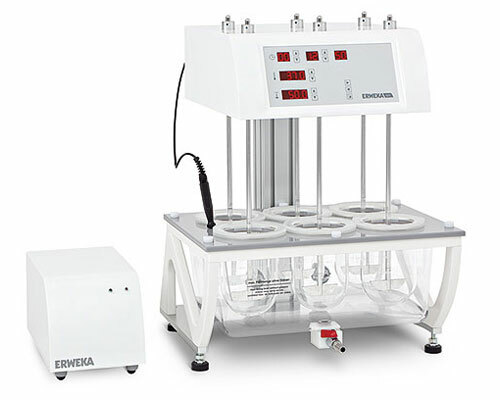 The ERWEKA DT 1610 series offers advanced intelligence and features for stand-alone operation or the control of a complete dissolution offline system. Copyright ©2019 ERWEKA GmbH. All rights reserved.